This post was first created without any affiliate links. Affiliate links to select products originally included in the post have since been added. Please know, dear reader, I would never promote anything I hadn't personally tried, loved, and in most cases, purchased myself. Thank you! Good morning! I am so excited to announce Sewcabulary. 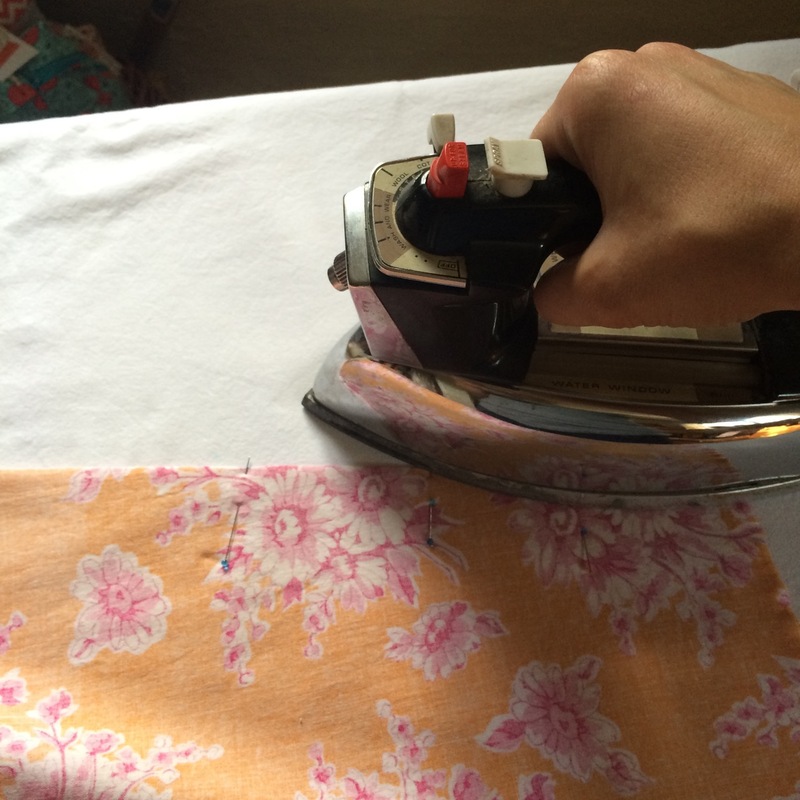 These weekly posts will introduce basic, and some intermediate, sewing terms, skills, tools and techniques to help you jump into the world of sewing, or improve your current skills. As a sewing teacher for over 5 years, I've had the amazing opportunity to welcome my students to the world of sewing and to watch them get excited about this skill set. I'm so pleased to be able to continue that process through this blog! 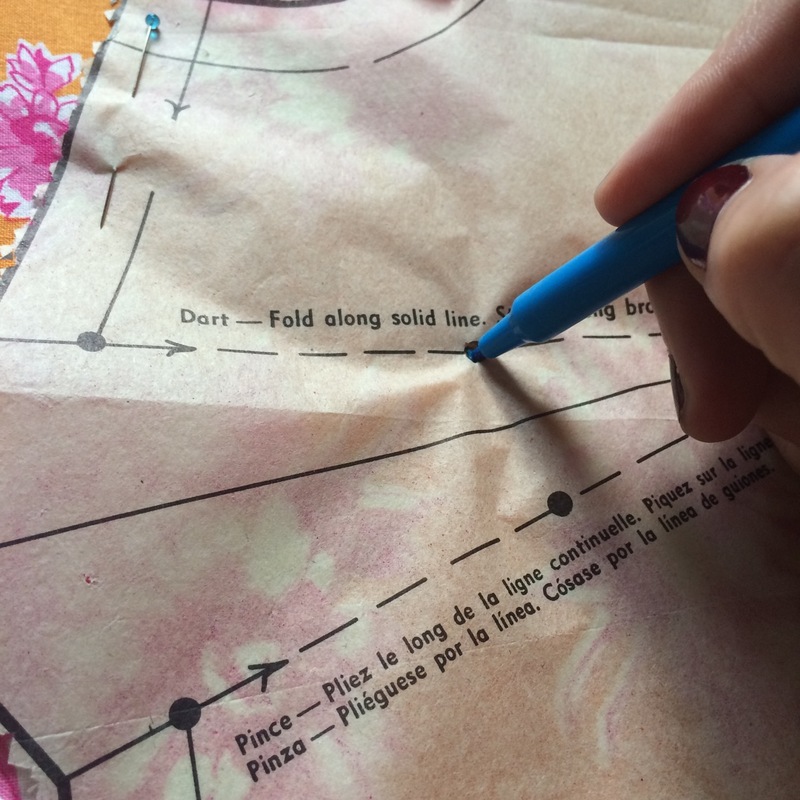 Today we'll talk about some basic symbols and terms you'll see on sewing patterns. If you have questions, please, comment away! Thanks for joining! 1. 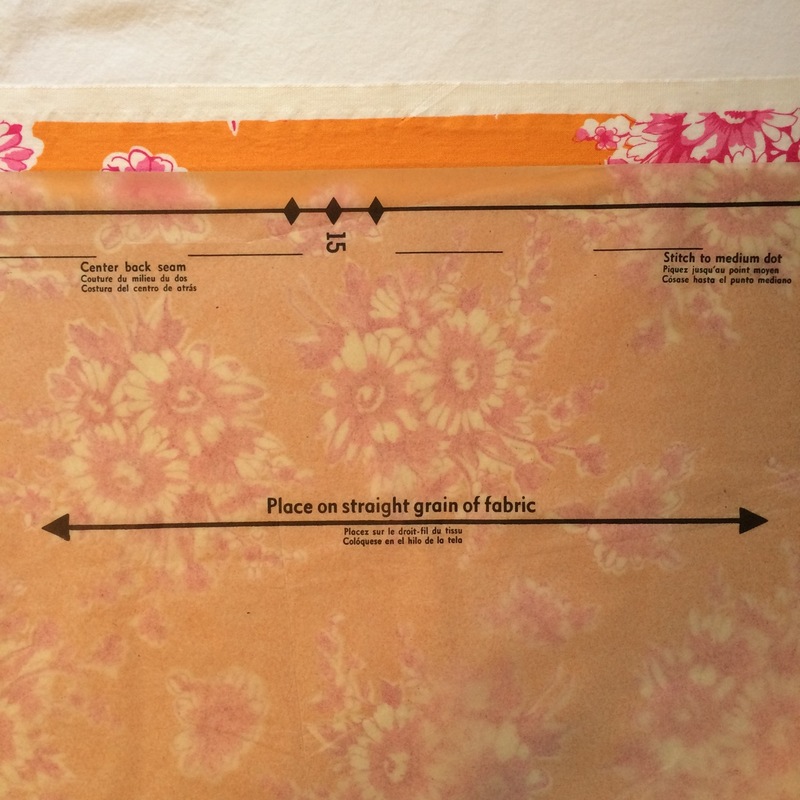 Seam Allowance: Seam allowance is the amount of fabric between the seam and the raw, or finished, edge of the fabric. 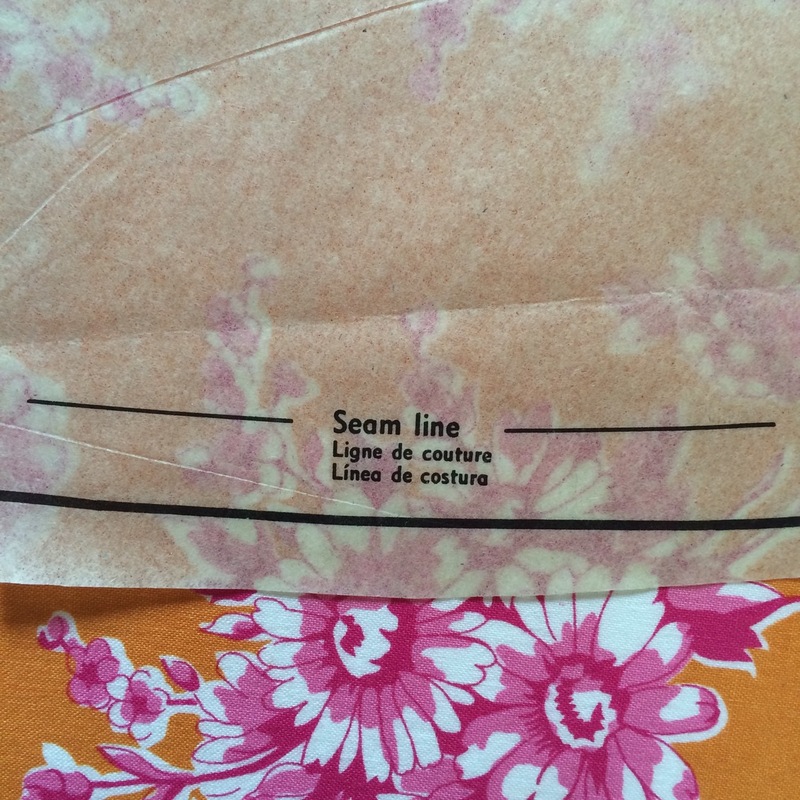 In the picture below, the seam allowance is to the right of the seam. Seam allowance will be listed on the instructions for all sewing patterns. For clothing patterns from the 1960's to now, seam allowance is typically 5/8 of an inch. For clothing patterns from the 1950's and older, seam allowance can differ in size. Quilting patterns are almost always 1/4 inch, and craft patterns will vary in size. 2. Selvedge: In woven fabrics, the selvedge is formed where the weft threads loop around the warp threads at the end of the loom to create a finished edge that won't fray. 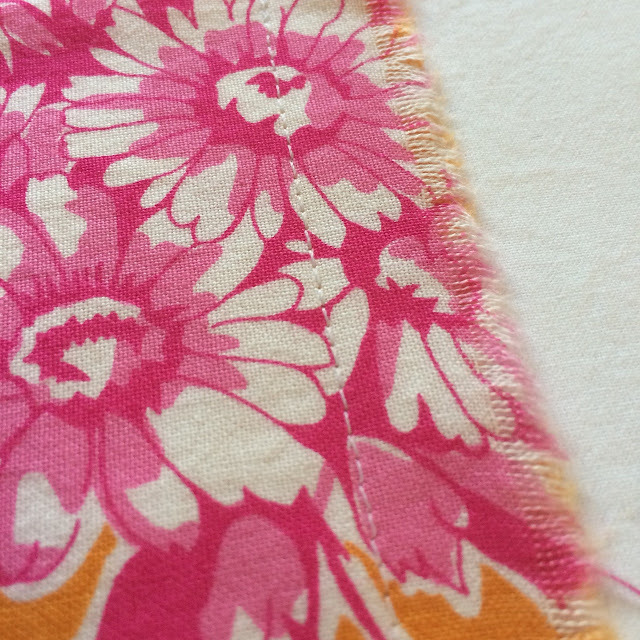 Selvedges run along each lengthwise edge. 3. 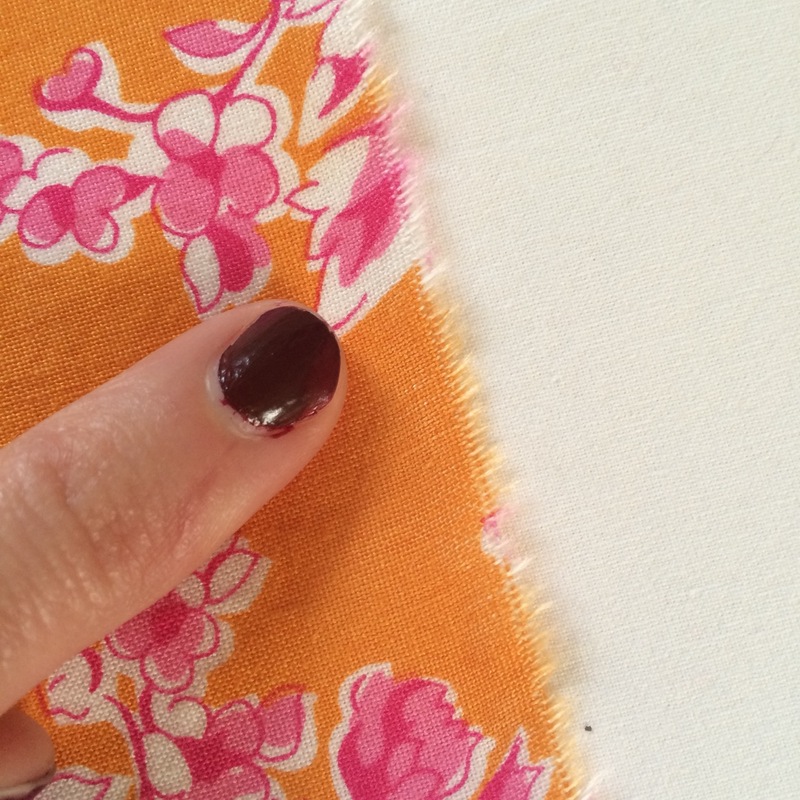 Raw Edge: Raw edges are formed perpendicular to the selvedge. This edge, unlike the selvedge, will fray. 4. Straight Grain: Read number 2. The straight grain runs parallel to the selvedge. Straight grain is crucial in making sure pattern pieces are cut out...well, straight. In the pictures below, notice how I measure from the very edge of the selvedge to the straight grain line on both ends of the line. 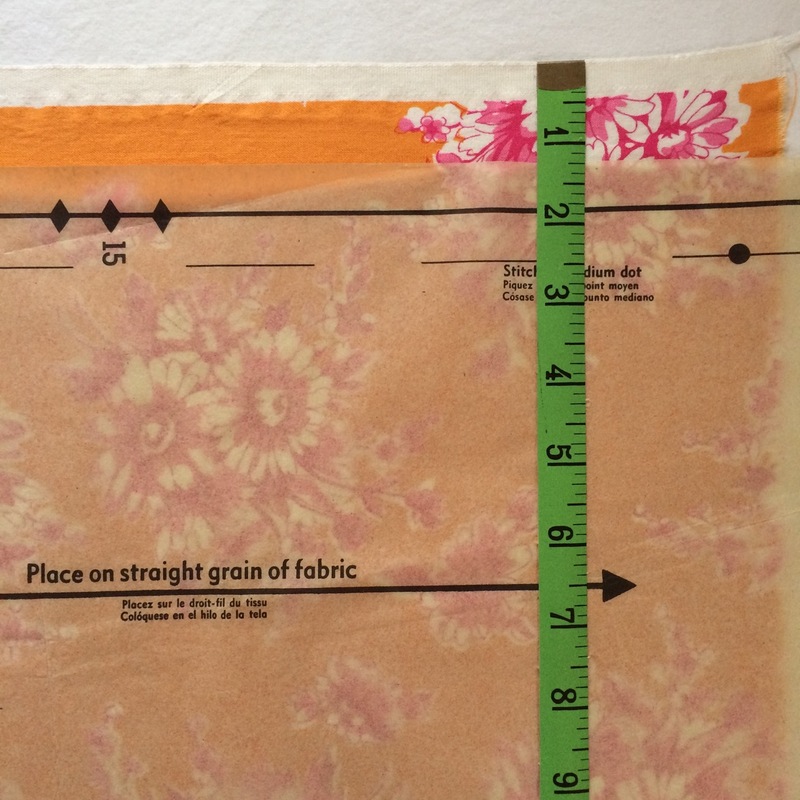 The measurement must be the same on both ends of the line for your pattern piece to be placed correctly. 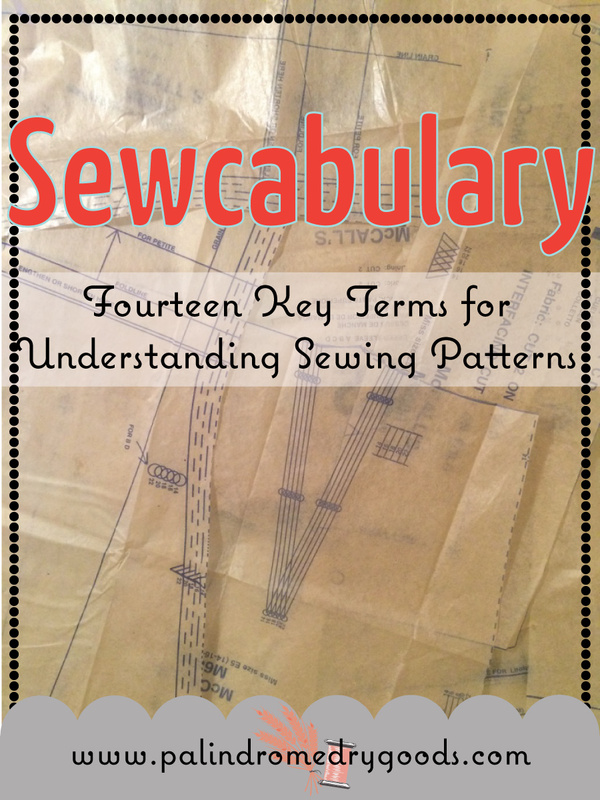 For more clarification on fabric terms, read this Sewcabulary lesson. 5. 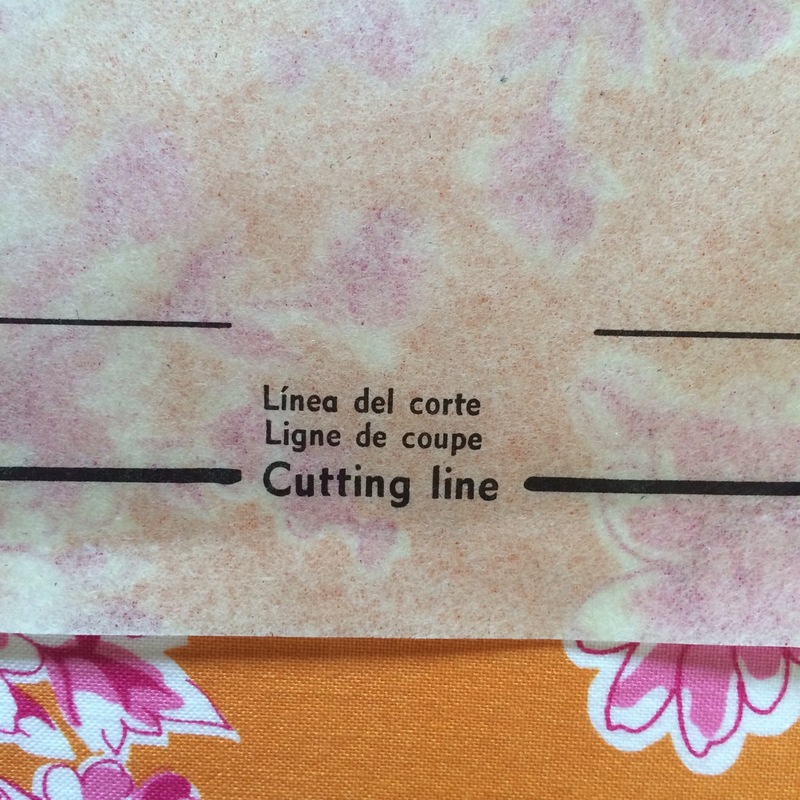 Cutting Line: This is the line that you will follow to cut your fabric. 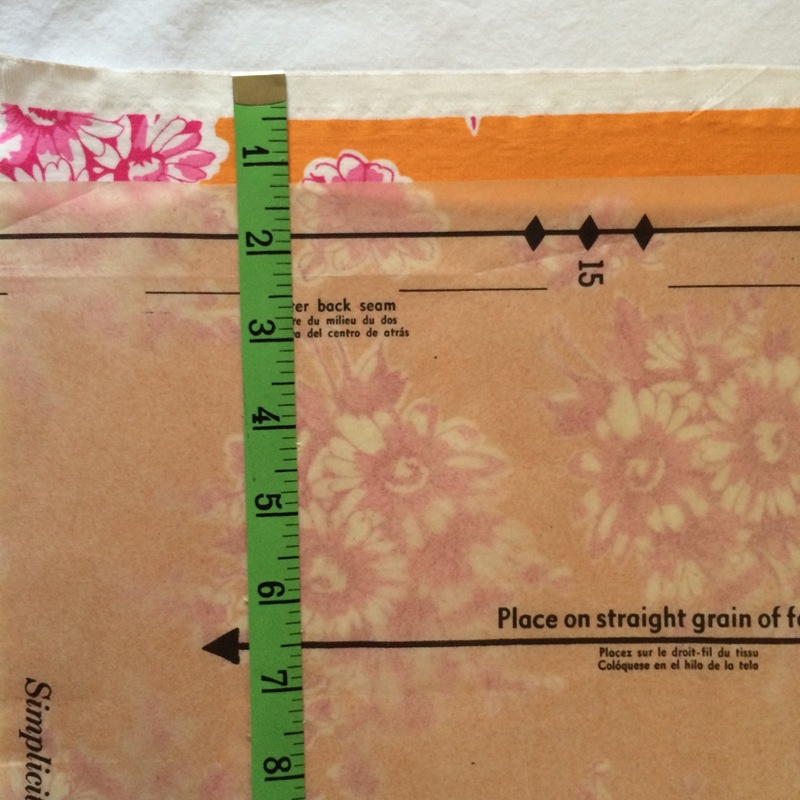 For brand new patterns, you will cut through the pattern paper and the fabric. 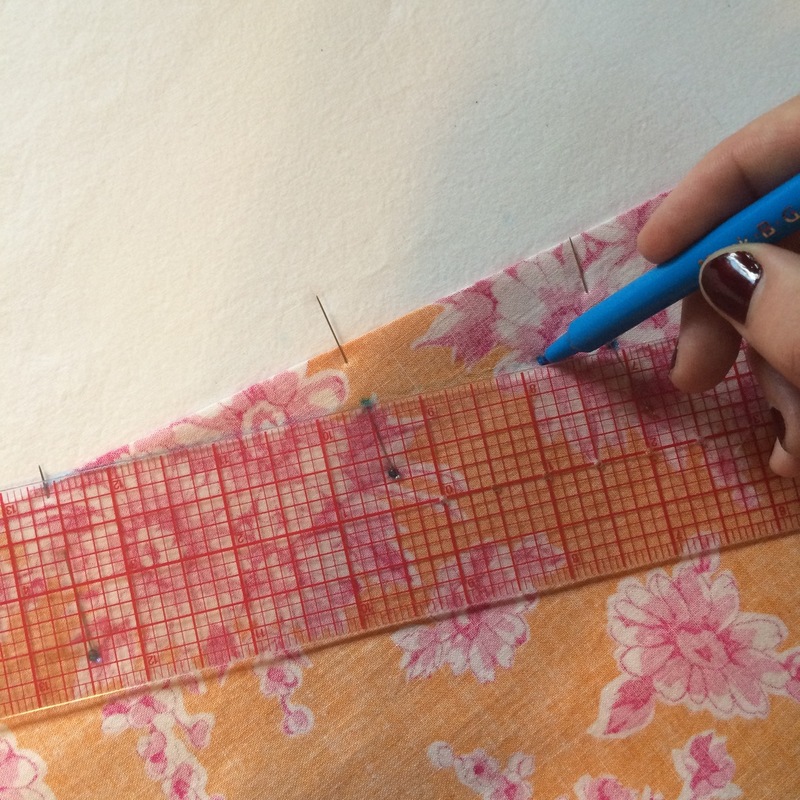 For used patterns, you will cut along the edge of the paper and through the fabric. 7. Notches: These little diamond shapes are the keys to helping you piece together your fabric pieces. Each notch is numbered and has a coordinating notch with the same number. 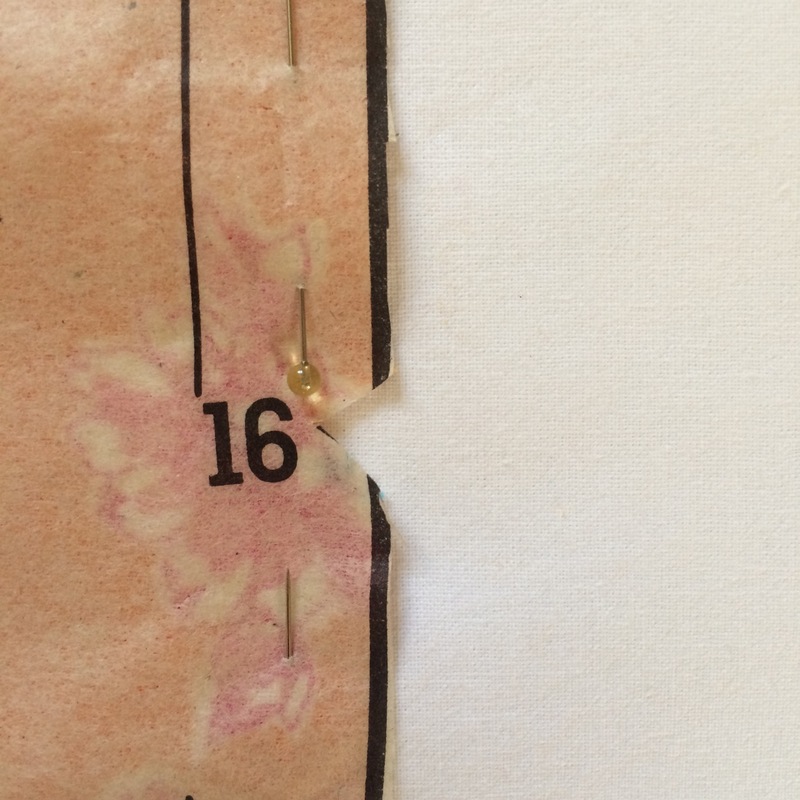 For example, the pictures below are a notch on a 'skirt back' pattern piece and there is another notch numbered 16, on the 'skirt front' pattern piece where I will sew them together. Notches may be singular, or can come in groups of two or three. Two notches will always match to two notches, and three notches will always match to three, etc. I recommend marking notches with a marking pen (see photo directly below). 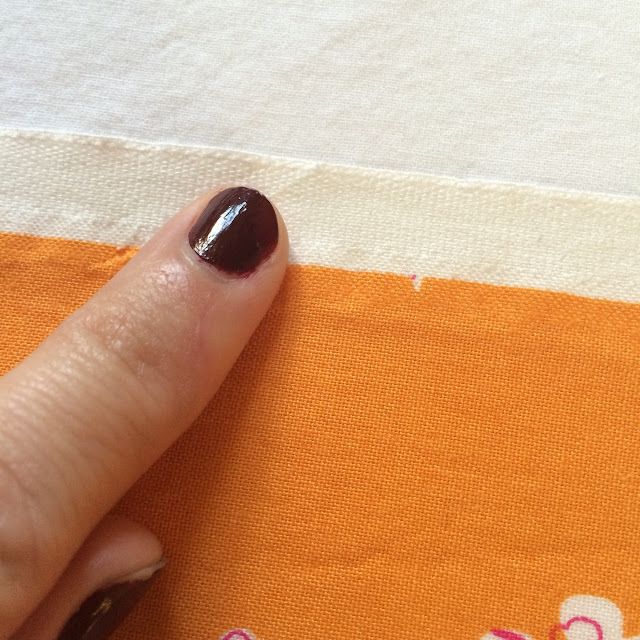 Some sewists prefer to cut the notches outward, to create triangular shapes off the edge of the fabric. I don't recommend cutting notches inward. This creates the possibility of cutting too far into the fabric, which could result in a hole in your seam. 8. 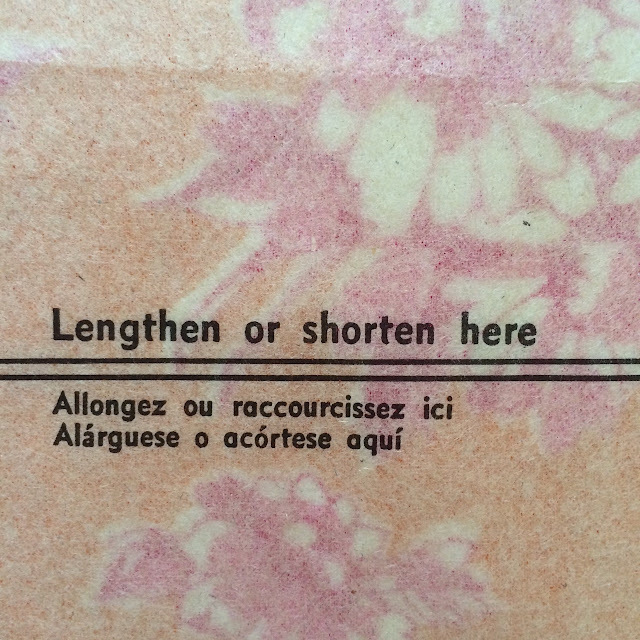 Lengthen or Shorten Here: Listen up sewists with long or short torsos! This line is your friend. 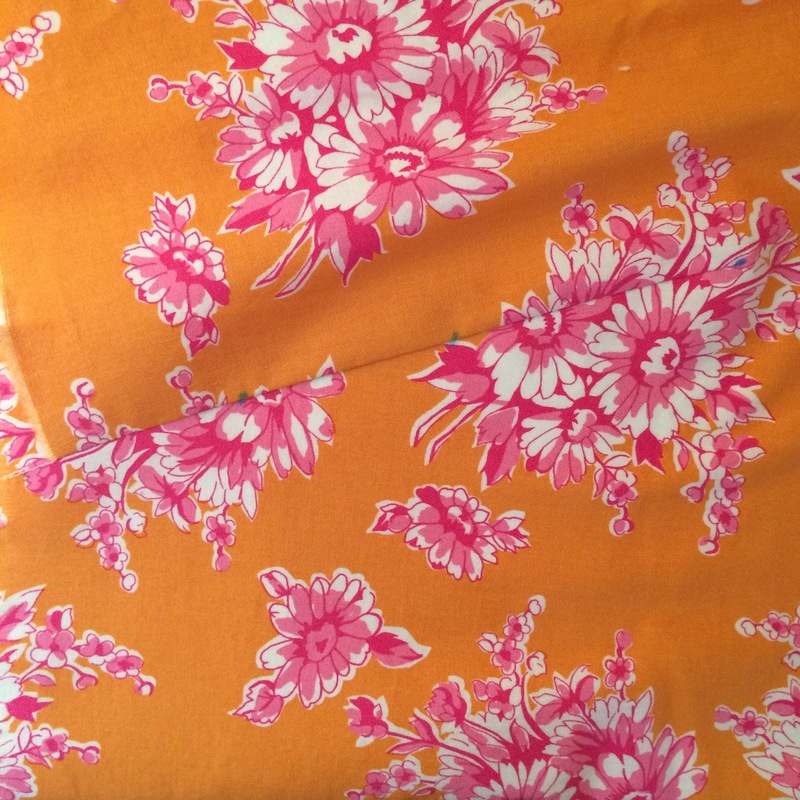 These are typically on bodice (could be a blouse, jacket, top half of a dress), pant (could be shorts, capris, etc.) 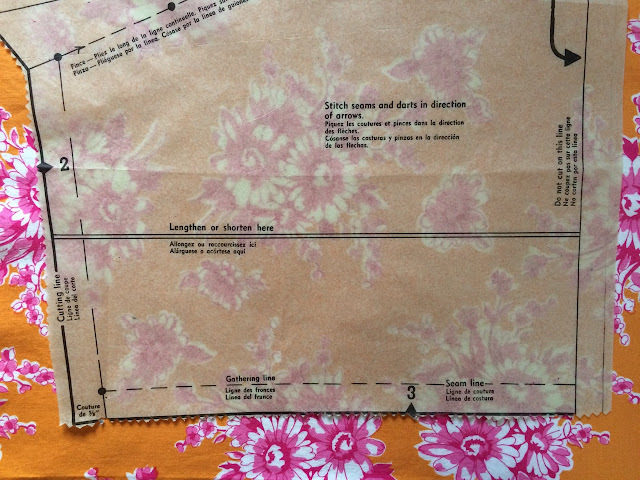 and sleeve pattern pieces. 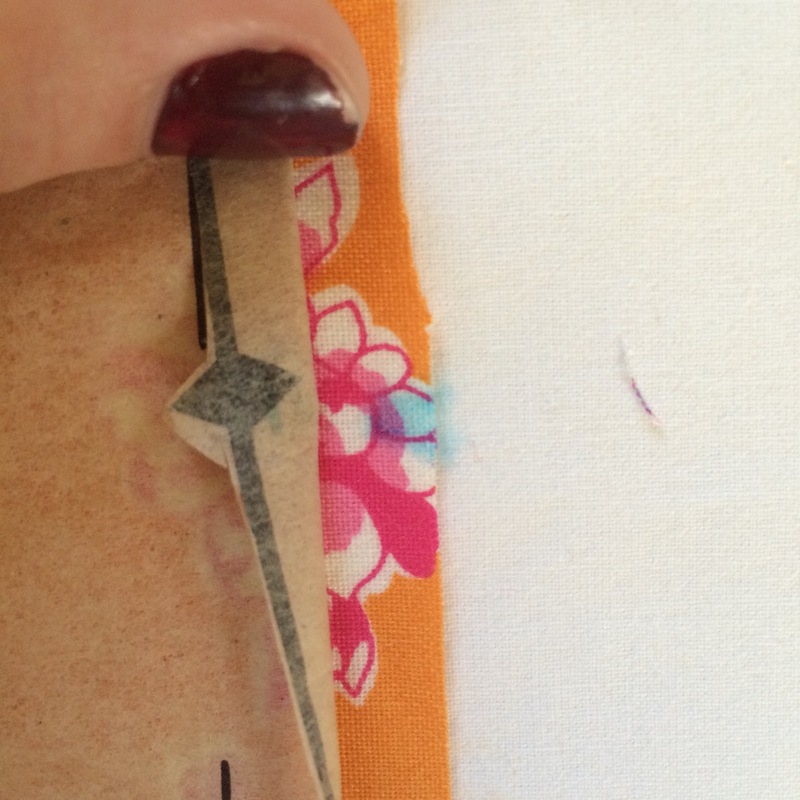 To add length: Cut along the line, and insert whatever amount of extra length you need. 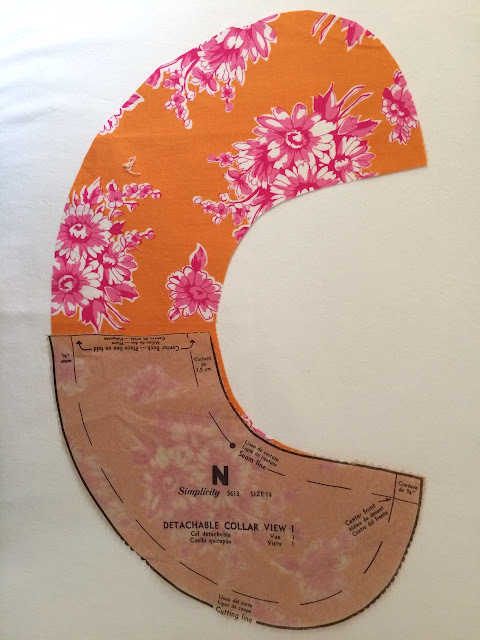 Don't forget to add the same amount to both the front and the back pattern pieces. 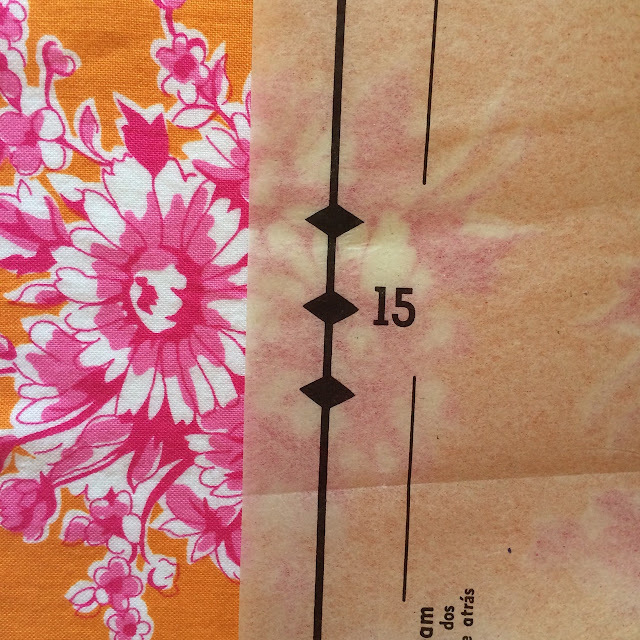 To shorten: Fold along this line and take up the desired amount. 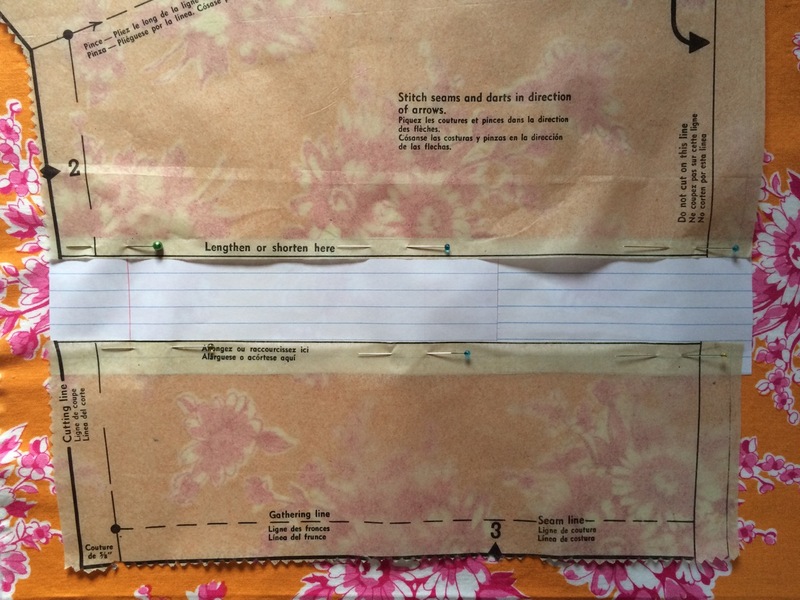 Don't forget to subtract the same amount to both the front and the back pattern pieces. 9. 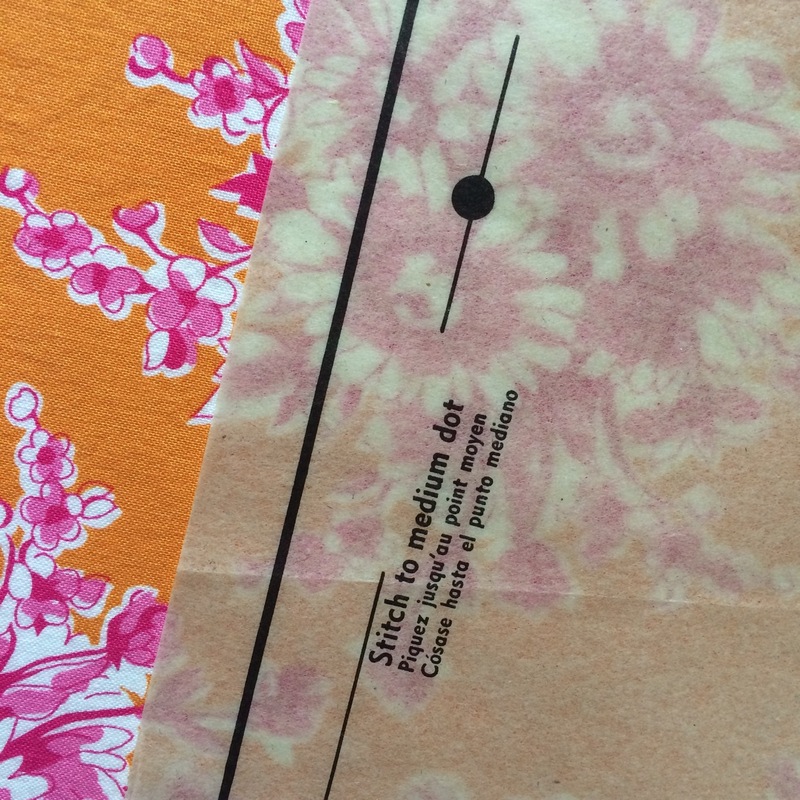 Small, Medium or Large Dots: Much like notches, these dots help you to piece your pattern together properly, and sew seams in the correct places. These dots are common for sleeve placement, collar placement, and to match the bottom of zipper placement, to name a few. 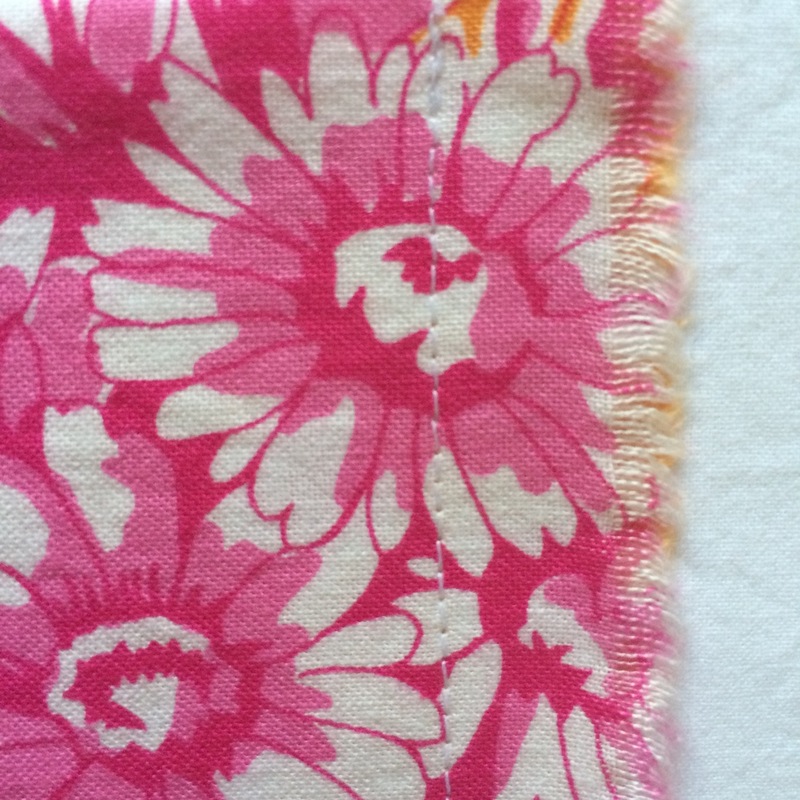 You will mark these on your fabric using chalk or a marking pen. 10. 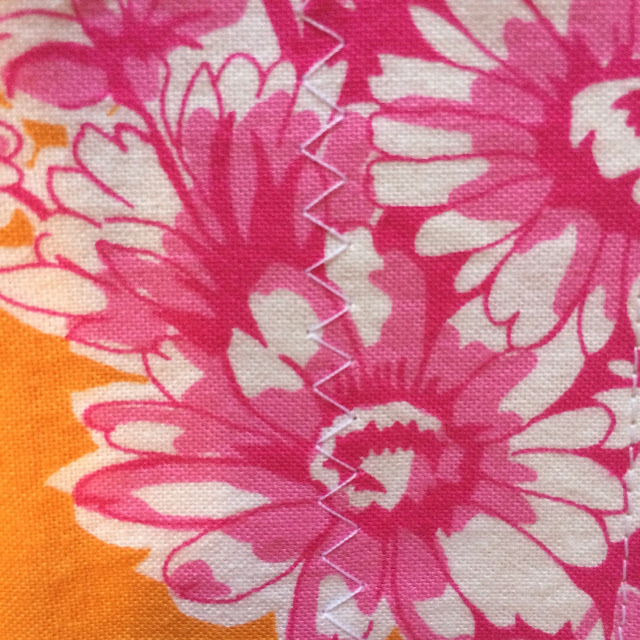 Straight Stitch: This is the simplest stitch of all. 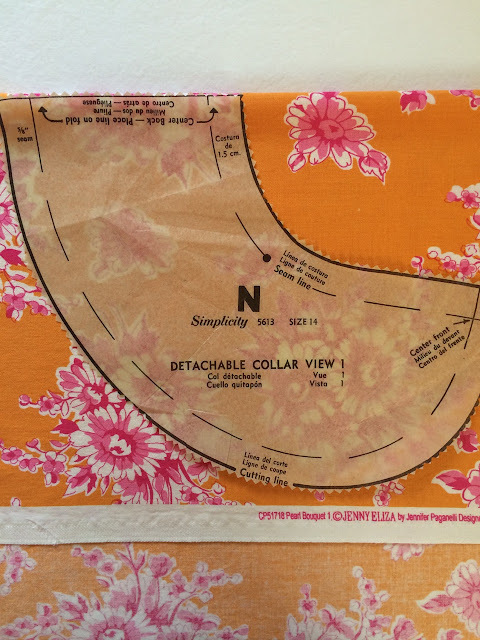 The best stitch for most apparel sewing (unless you have a serger...but that's an entirely different post for an entirely different day), quilting and general sewing. It can differ in size, with the smaller lengths being good for high-tension seams like those in armholes and crotches, and the largest length (known as a basting stitch) being good for gathering, and 'practice seams' (one's you may need to take out depending on fit, for example). 11. Zig Zag Stitch: This handy stitch is good for a variety of purposes. It can be used to help prevent seam allowances from fraying, to sew on rick-rack, or purely for decorative purposes. 12. Darts: Darts are structural elements that allow the fabric to conform to body contours and curves. Darts are most common at the bust, but may also be found at the waist, hips, and elbows. Firstly (below) mark the dots along the dart lines, being sure that your marking pen bleeds through to the backside of the fabric, or if you're using chalk, mark on both sides of the fabric. Then, fold the fabric right sides together, pin through the dots. 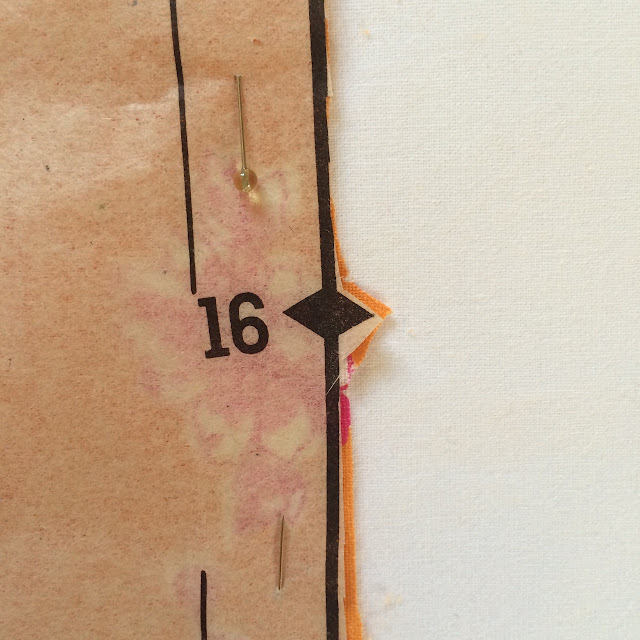 Lastly, 'connect the dots', forming a sharp point at the end of the dart. Mark and sew along the line you draw. Below: a finished dart from the outside. Below: a finished dart from the inside, with dart pressed, and not pressed. 13. Ease: Ease is the difference between the actual finished garment measurements, and the standard body measurements on the back of a pattern envelope. This 'extra room' allows you to move around in your finished garment. 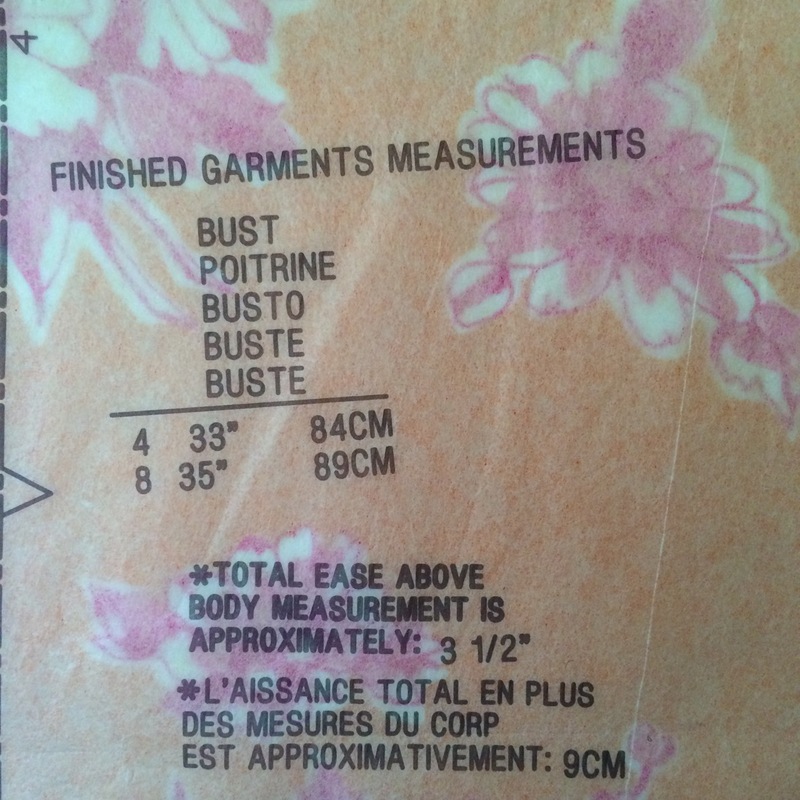 For example, a blouse pattern envelope may say that the bust measurement for a size 6 is 32", but when you make the pattern, the blouse bust will measure 34". I have a more thorough post on ease here. Ease is also sometimes denoted by a circle with two perpendicular lines through it. These markings are found at the bust, waist, hip, and bicep to name a few. Below the marking are the sizes, followed by the finished garment measurements. 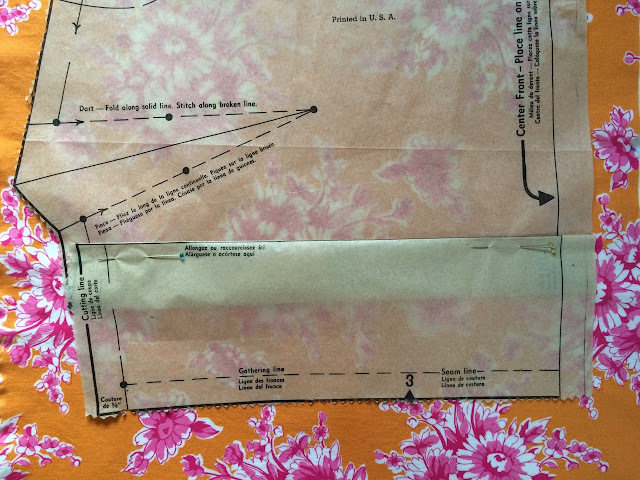 The below picture shows the ease at the bicep placement on a sleeve pattern piece. Size 6 measures 10 7/8", size 8 measures 11 1/8, etc. 14. Place on Fold: Typically denoted by a curved line with arrows at the end, the "place on fold". The "fold" being the edge of the fabric, opposite from the selvedges, where you have folded it in half. 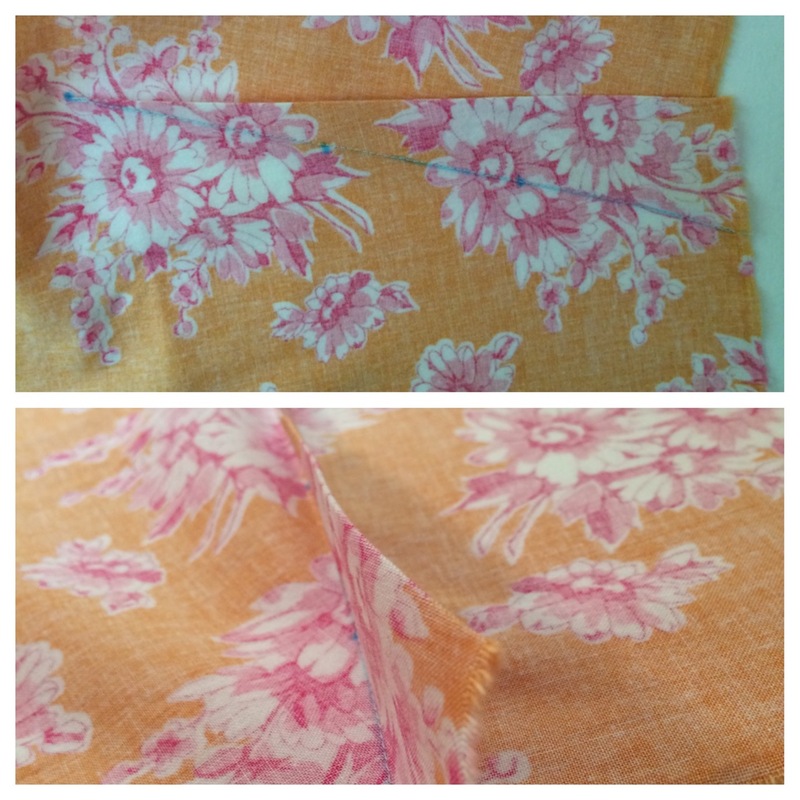 When a pattern piece is cut out on the fold of the fabric, it creates a mirrored fabric piece (see third photo down for an example). Be sure not to cut the fold line! 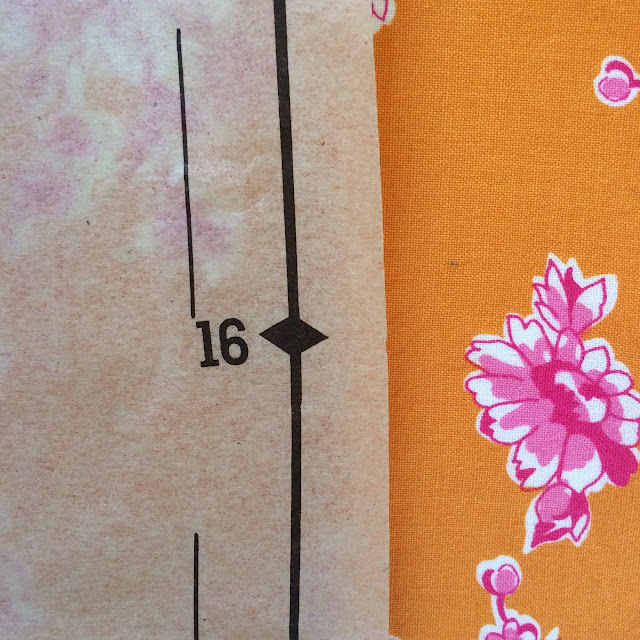 Below: a piece cut on the fold, unfolded to show the result. 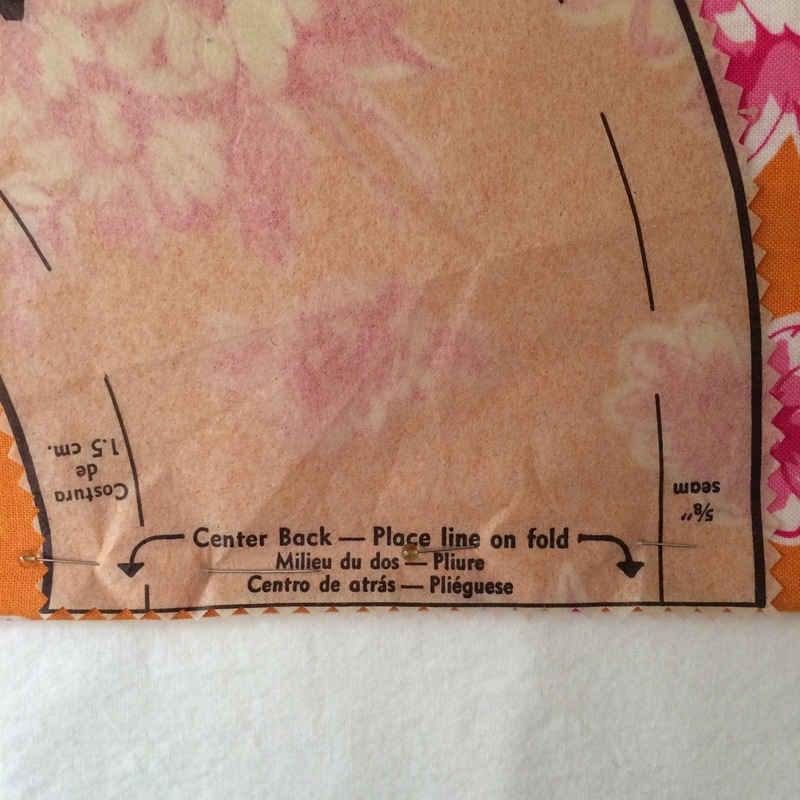 Note that the fabric is not cut at the fold line, and should not be cut there. This is the first part of a many-part series about key sewing terms. 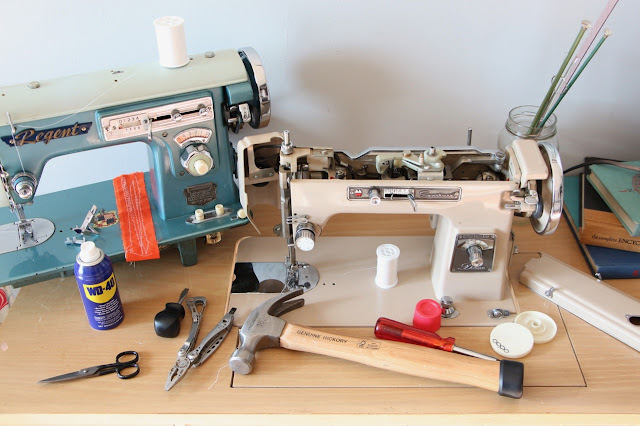 My hope is that I can help sewists of all levels expand their sewing knowledge and understanding through additional posts on terms for sewing machine parts, tools, seams, stitches, general sewing and more. What terms would you like clarified, or what categories would you like covered? Did I forget anything in this post? Do you have other questions? 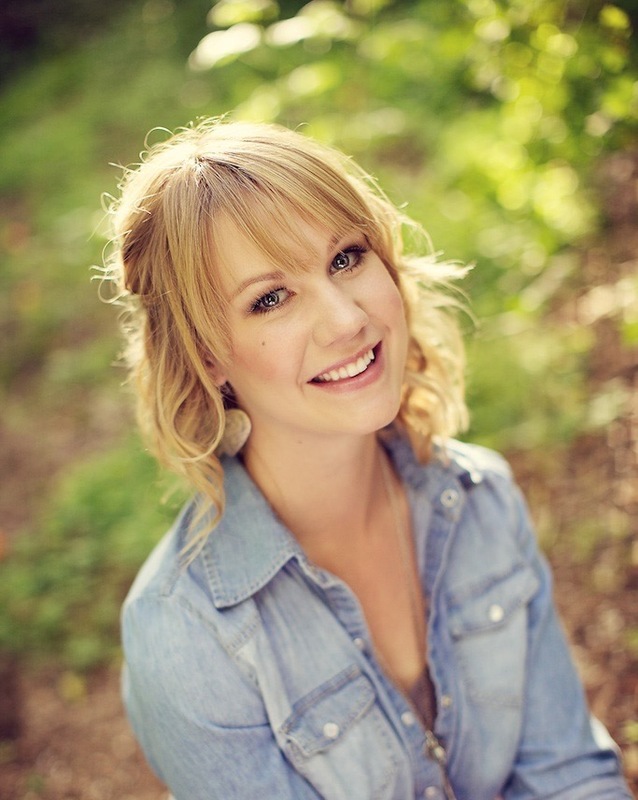 Visit the contact page to find my email address and ask/comment away or post a comment below! 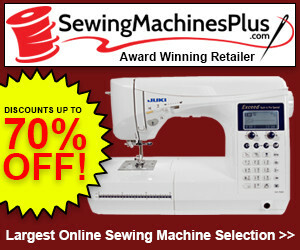 Looking for more sewing help? Be sure to check out these other Sewcabulary lessons! Yay! I'm glad you found it helpful. Thanks for sharing, please send me a link where you share it so I can check out your site as well! Finally pattern instructions I can understand! Thank you so much! 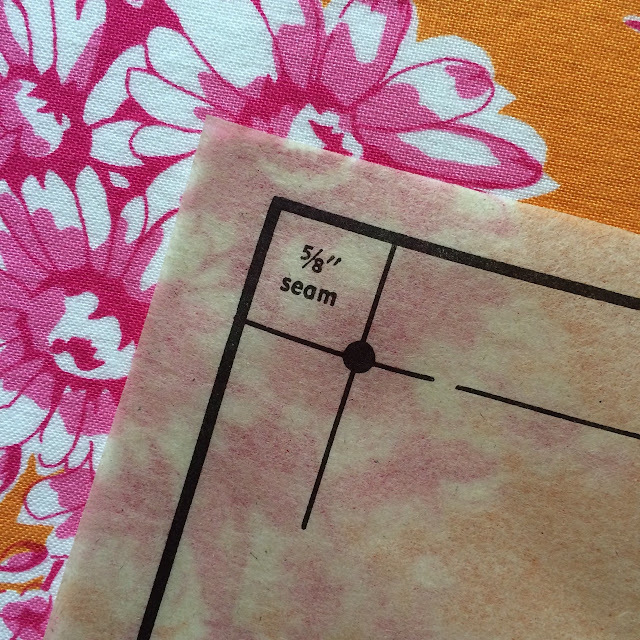 Many of those german patterns don't even have seam allowance included! You guys are a tough bunch of sewists, haha. 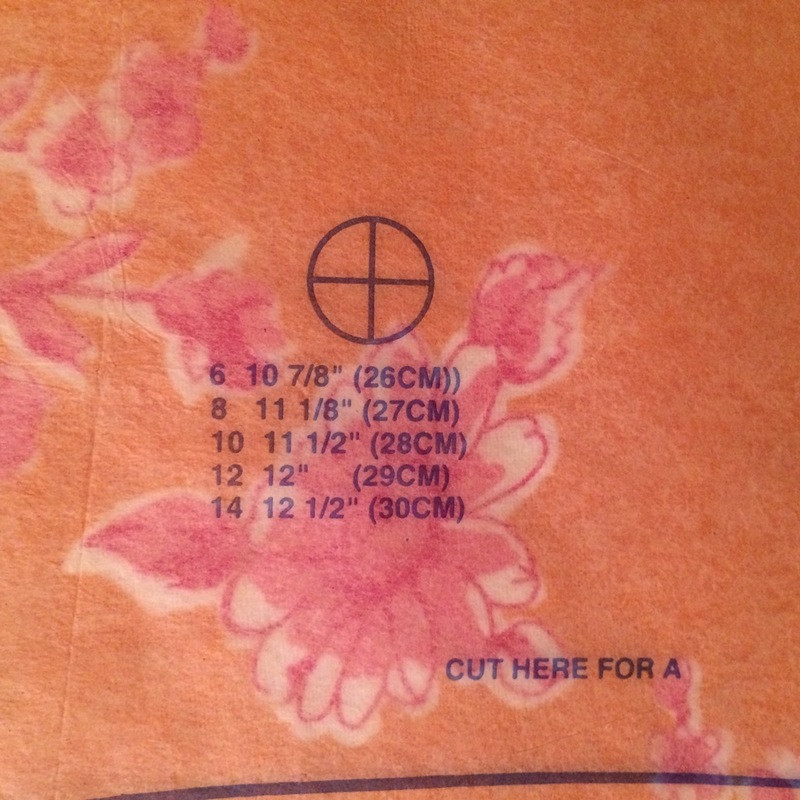 Yes, the amount of information given on American patterns is, admittedly, a bit too much sometimes. Thanks so much for reading the post and for chiming in. Happy sewing! Finally! 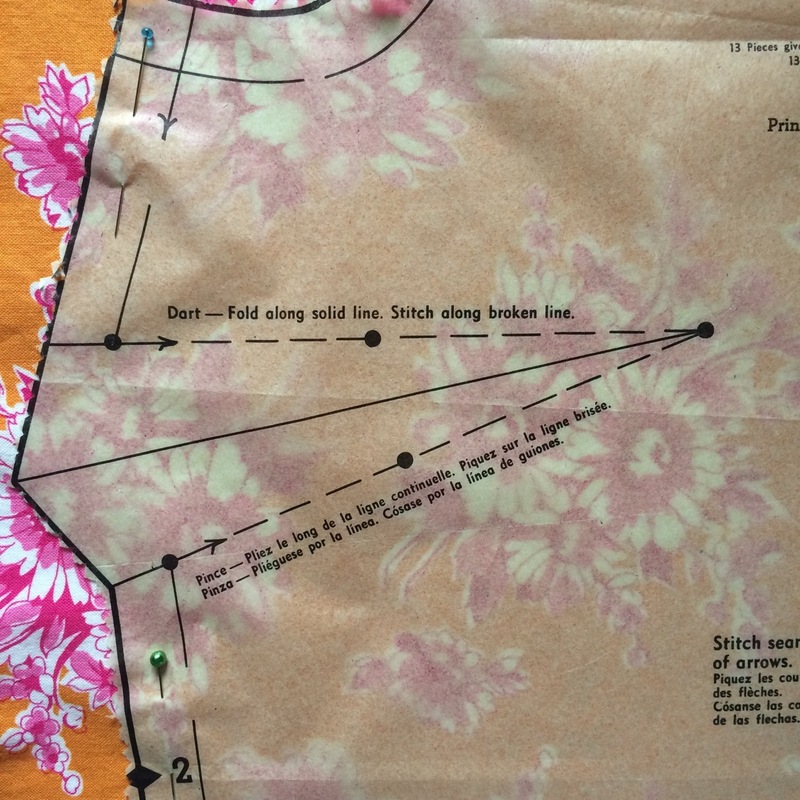 Pattern instructions I can understand! Thank you so much! You're welcome! Thanks for reading and letting me know you found it helpful! The only thing I could add us that the zig zag stitch is essential when sewing very stretchy fabrics together; it prevents bunching of the fabric and allows the fabric to maintain stretch where a straight stitch will not. You are so right, Rob. That is definitely an edit I should make! Thanks for reading and your input. Valerie, you are SO welcome. Don't get overwhelmed by all the writing on the patterns. It looks worse than it is, haha. Best of luck to you in your new sewing adventure, and feel free to contact me if you have recommendations for other types of posts! Happy sewing!